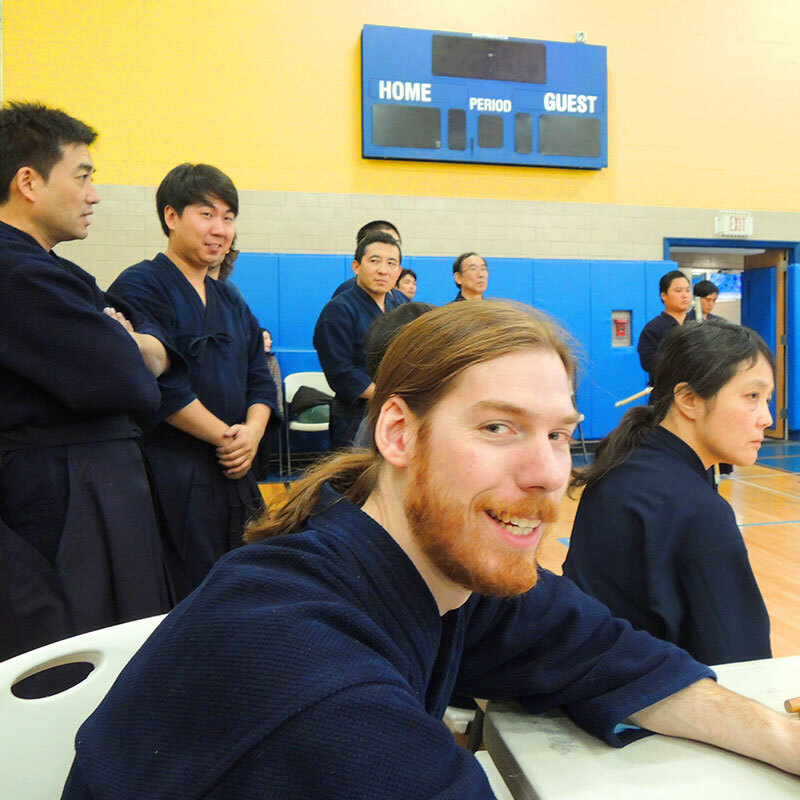 New York Shinbu-kan and Boston Shufu-kai are hosting a Kendo seminar/tournament every year. The information regarding the previous events and future event can be found here. 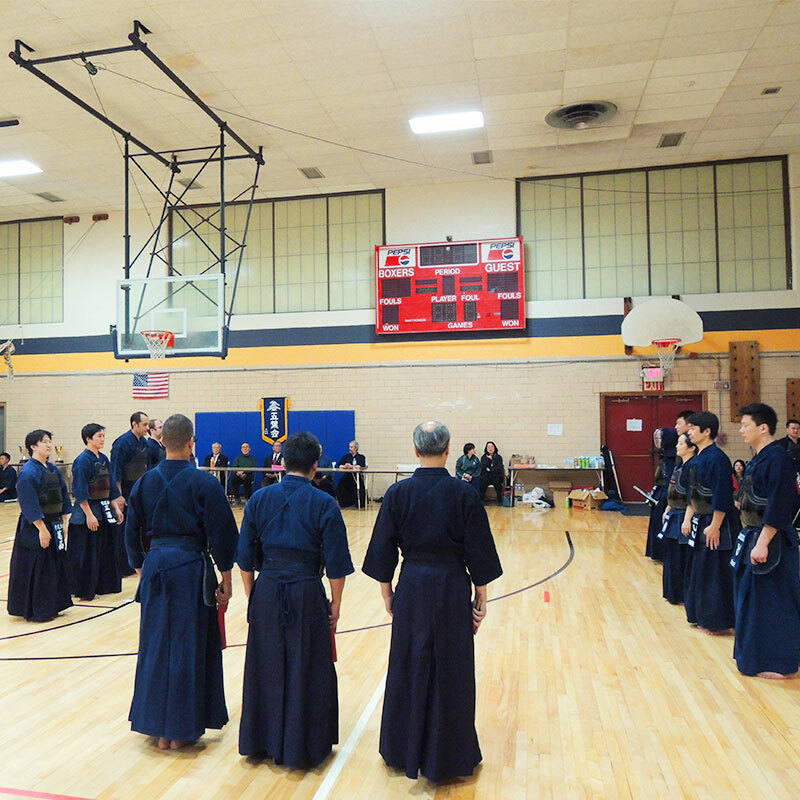 New York Shinbu-kan along with Boston Shufu-kai is taking a part in organizing Kendo seminar and tournament every year. It is the 19th annual tournament in 2018. 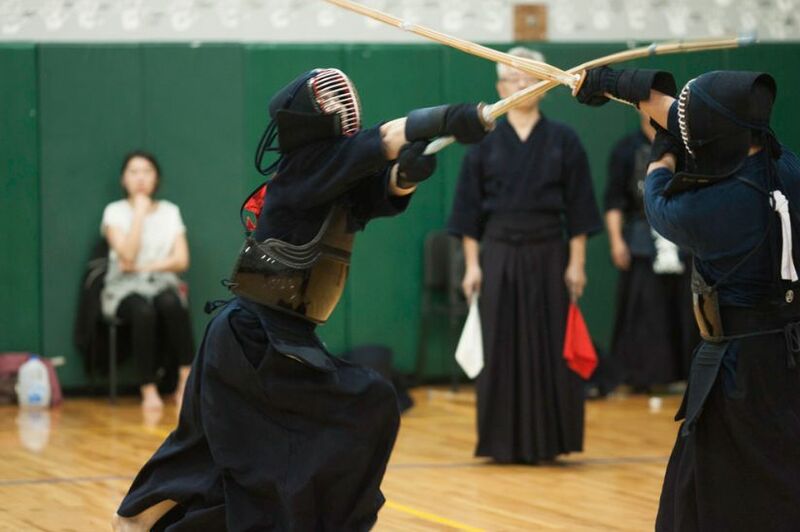 In recent years, approximately 200 participants from the east coast and Canada join the events to improve their Kendo. 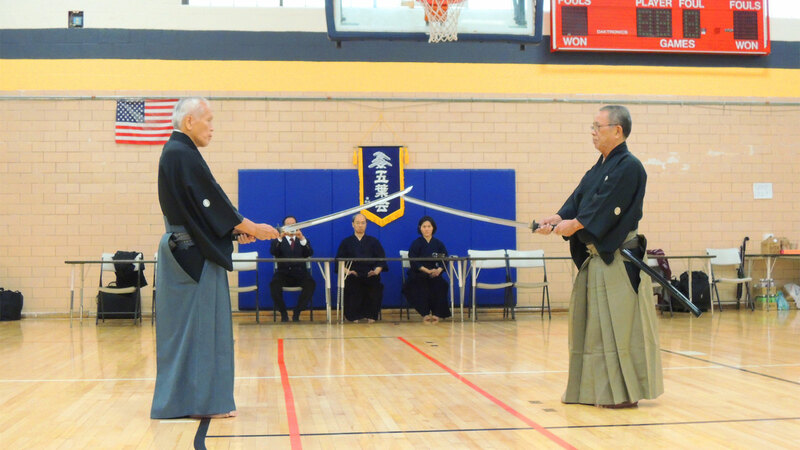 High ranking Kendo masters from Japan are invited to provide excellent guidance throughout the event. 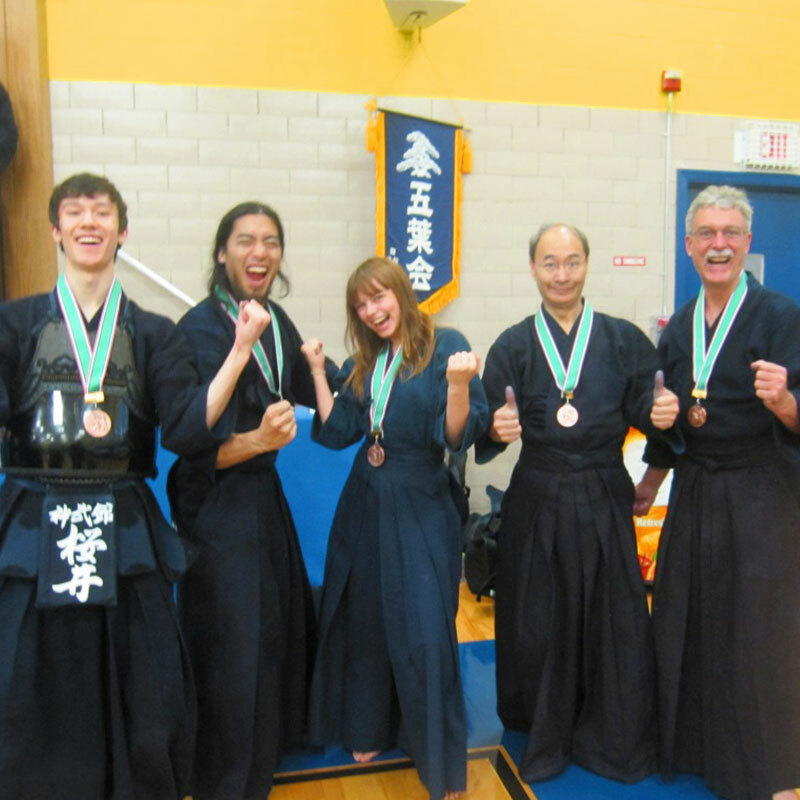 The seminar and tournament provide a rare opportunity for Kendo practitioners in the area to bring the friendship together. Goyokai started approximately in 1995. 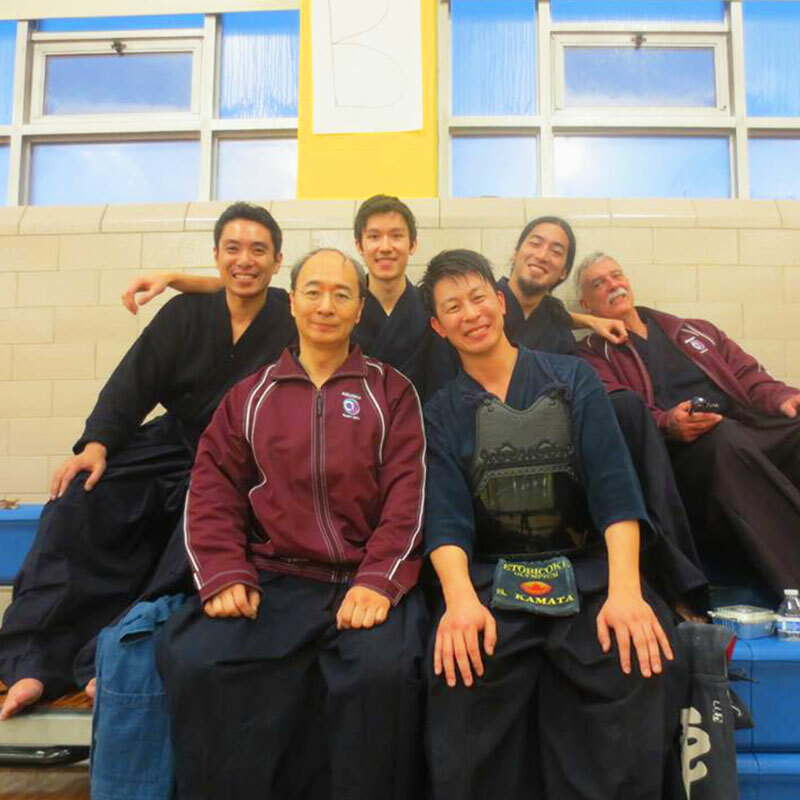 Five dojos (Boston Shufu-kai, Rhode Island Shinbu-kan, New York Shinbu-kan, New Jersey Kenyu-kai, Philadelphia Tanshin-kai) were periodically meeting to have joint practices and seminars held by Toshiyuki Matsubara-sensei (Kyoshi 7-dan). 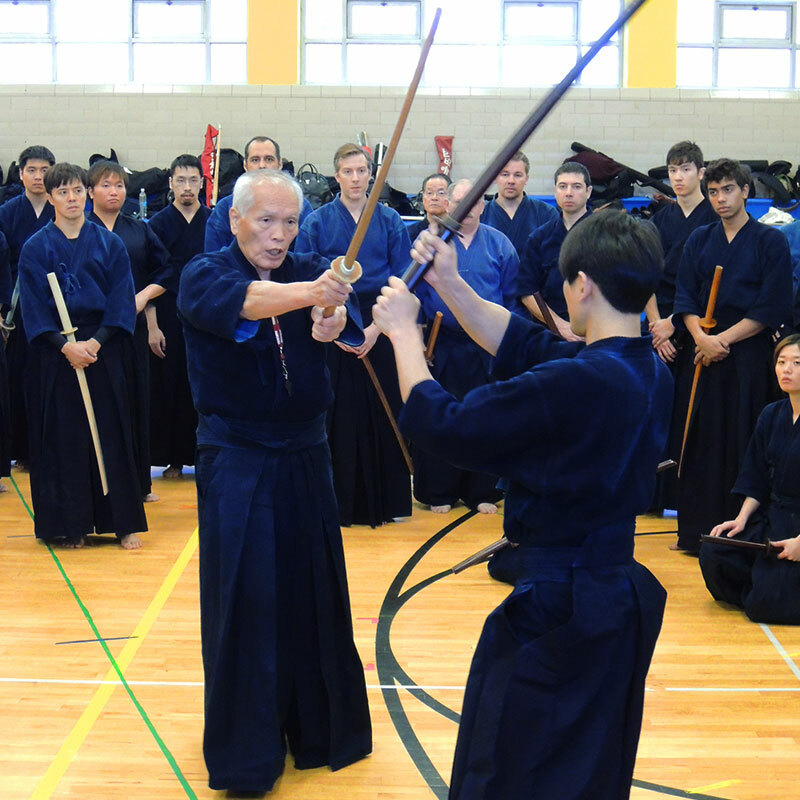 In 1999, the late Kiyoshi Nakakura sensei (Hanshi 9-dan) joined the Goyokai seminar in New York with other high-ranking senseis. He kindly named this informal gathering as “Goyokai”. “Goyo” means five leaves. Many high-ranking senseis including Hironori Tahara-sensei (Hanshi 8-dan), the late Teruyuki Matsubara-sensei (Hanshi 8-dan), Masuo Shinotsuka-sensei (Hanshi 8-dan) have been participated in the Goyokai seminar and tournament. 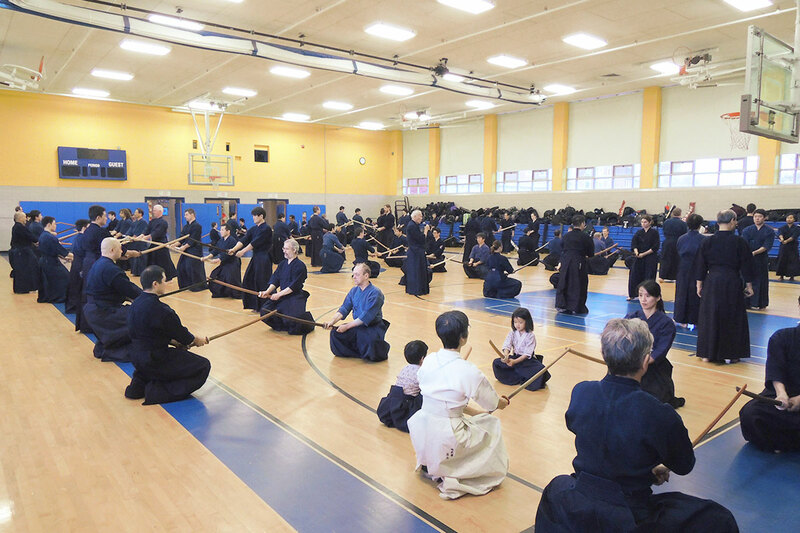 Currently, Boston Shufu-kai and New York Shinbu-kan are hosting a Goyokai seminar and tournament once a year to cultivate friendship. Every year, more than 200 people participated in the event. 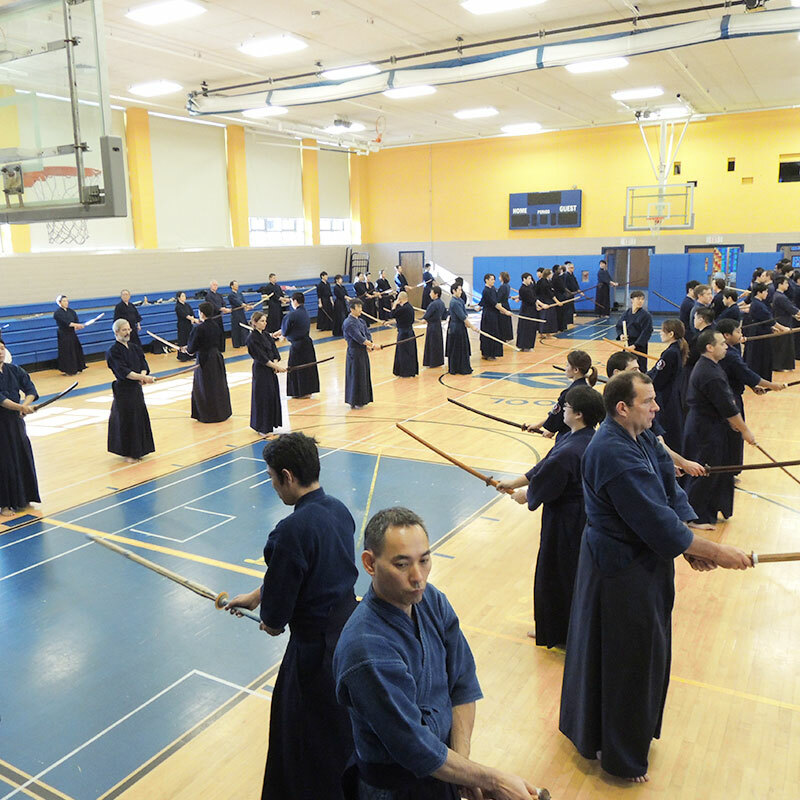 Since its inception, Goyokai’s motto has been “Be correct (to Kendo basics), be beautiful, and be strong”. We are looking forward to having many participants in future! in Randolph and Canton, Massachusetts. Some images of the seminar and tournament. Every year, approximately 200 people participate in the event.